Here is a tiny note just to say that I had two poems come out recently! One is online, with Pith, and the other is in print, for Gigantic Sequins. These are both very body-oriented pieces, one quite small and the other more expansive, one a shy watcher and the other acting upon itself. Both questioning the shapes I've been told I need to fill as a woman, both attempting overlap and triangulation, undoing, undone. I keep promising myself that I won't wait until past 10pm to write each day's blog post, but then it happens almost every day, because the days have been full lately. I spent a lot of time this weekend reading and writing/editing, thinking about blind spots in my manuscript and how to fill them in or remove them (spoiler: still working on it). I can't believe I defended that thesis just about two years ago. At the time, I thought it was done, and I do still feel good about it as a whole, but two years is a pretty good amount of perspective. I'm making small tweaks in some places, and larger cuts/replacements in a few others. Some of the poems that still resonate with me the most are the most political, the least cautious, and I feel like I need to follow that impulse further. One of my MFA professors says often that he will know he's succeeded as a teacher if his students are still writing 20 years later, so—I'm working on it. Ten days into the month. Two years into the 20. I'm reading tomorrow night for Painted Bride Quarterly and I can't wait. I finally finished Annie Liontas' Let Me Explain You, sort of quietly in the dark morning-time, which felt right, and now thinking of the wound that cannot be seen. And the act of always reaching toward it. In this quiet in-between week, I'll see the beach for the first time in several years, and visit a friend that I miss so much, and sit and drink coffee looking out a window onto an empty square with an empty Word document in front of me. I'll meet an old friend and a new friend to talk about writing. I already rode my bike in the city for the first time, less scared than I had thought I would be, and we rode to the Schuylkill and out over the water on a concrete boardwalk, into a headwind. Another old friend is here in the city for a month. In general: trying to gather back the pieces of myself, and to remember how it feels to speak them. Writing more. Riding more. Two reviews for The Bone and the Body are live, and it's a really surreal experience. To have a response—to have a reader that I don't already know. Plus I was granted honorary Russian status. "The poems, and the figures within them, overlap, like a concept album: everything is connected. Each poem feeds a central idea, but more than building a narrative, Kochman creates a feeling." "The Bone and the Body is feverish, up-all-night reading, like stumbling across a photo-realistic depiction of something you thought was a lonely, isolated-to-you experience and lifting groggy head and red eyes hours later feeling both satiated and ravenous." Wednesday, May 20 was the official launch for The Bone and the Body, and then I went to New York to read for The Atlas Review, so what I'm saying is that I'm totally exhausted but pleased and proud, and here is the link to purchase the book, and here it is on Goodreads, and the first 20 orders come with letterpress materials (made by me! ), and I will write more about this all later. I will also take pictures of my cat dressed as a bat, so, you know, don't worry. May is zooming right along. Not only did BatCat finalize the cover and page proofs, but I was gifted these gorgeous, generous words from two women I respect and admire. It means so much to me. What presides over Kochman's haunting and gorgeous debut is a great IF, cracked with regret and longing. This IF crunches under every line, like leaves or bones. This IF is a home, unnerved and unbeheld. This IF, rafted from nowhere, like the ghosts of gods, like hope, looms mightily over Kochman’s collection. If I ever met this IF on the side of the road I imagine it ancient and chirping like a newborn. I imagine I would kneel down beside it, for Kochman has officially turned the conditional clause holy. 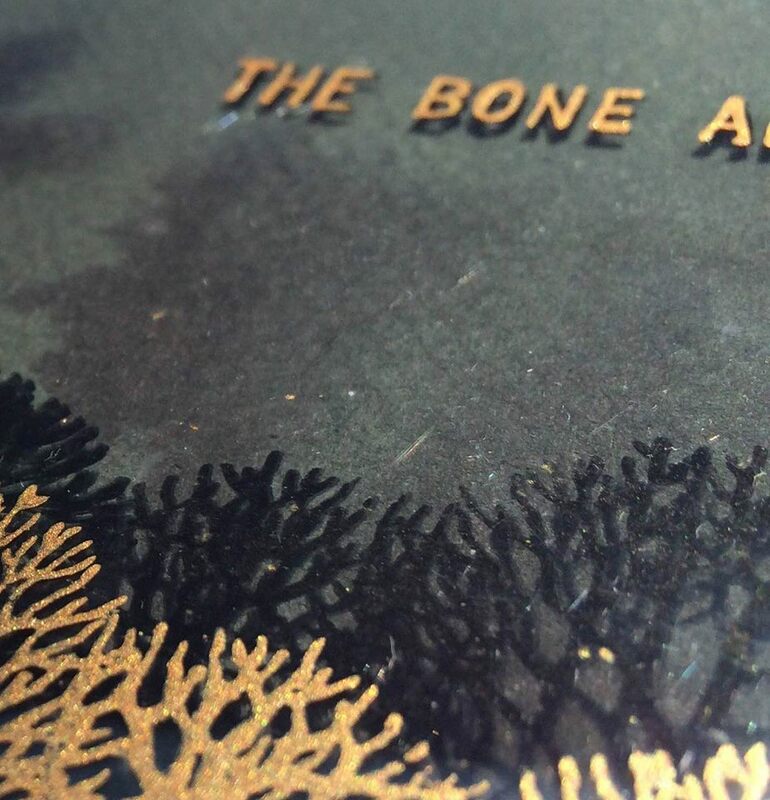 In Laura Kochman’s stunning debut, The Bone and the Body, readers enter a watery space, a seaside house: a mouth becomes a doorway and the door is open here where you morph into your house and bones, its—and it is wandering. Even your horse runs and you are left parceling out exactly what you founder on, as it is something, yes, something, so felt. Through piercing voicing, you question the tenancy of your house, body, and bones with ferocity and delight. Finally, you and your house are boned to earth with feet that move lyrically and shelter us back into our own frames, our own known hands—some magic here, of this I am certain. And then, and sitting looking out over the Vermont River, which is frozen, and out at Wantastiquet Mountain, which is frozen. And the light hitting the snow to bounce back up at itself. It's very beautiful here. 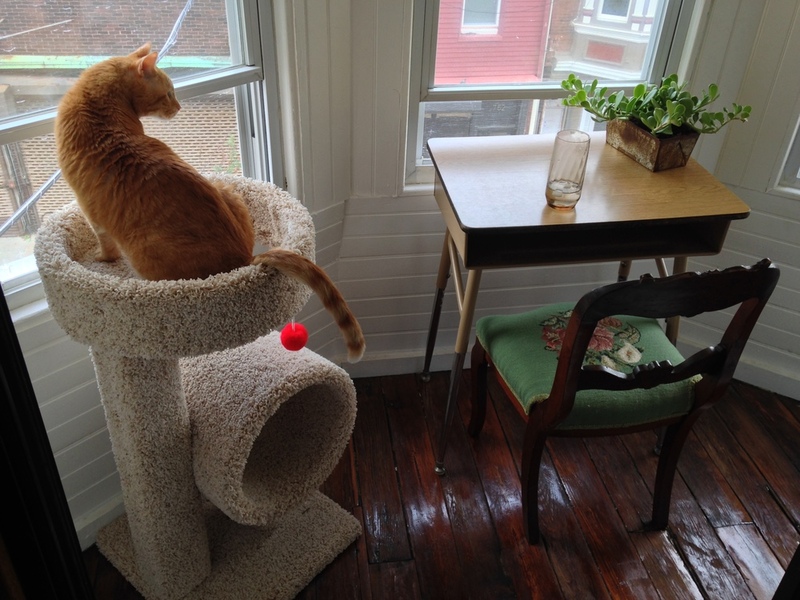 Melanie Page at Grab the Lapels was nice enough to interview me, on how/why The Bone and the Body will be handmade, and long poems, and my cat. When I started writing the poems in The Bone and the Body, I was just following my nose. I got saturated with that speaker and her feelings, and I researched folklore that I had only known peripherally, and I kept finding connections. That’s a thing that I love about writing, the way it spins out and back through itself. The Bone and the Body will be a flesh/blood/embodied object in the world, published by BatCat Press this spring. It will be handmade and lovely. Can I say it will have a home? A home: a full-length book, in which: prose and verse and oysters and letters and owners and renters and no and chicken feet and the distant woods and sitting right directly down in the sand as it shifts and does not answer. And hey look! Coconut 19 is here! Freshly pressed! Imminently real! Inexplicably heroic! I have some particular excitement about one of these writers, who I tried and failed to publish in my inaugural issue of BWR. It's gratifying to see that the work continues and the work continues to be great.